They think a lot of them in the Dallas area. Take a look at the "Market Adjustment" to the left. Yoinks! Absolute BS. I hope people are not dumb enough to fall for this. There are still dealers asking $25k over MSRP on GT350s. People that fall for that are just plain stupid IMO. 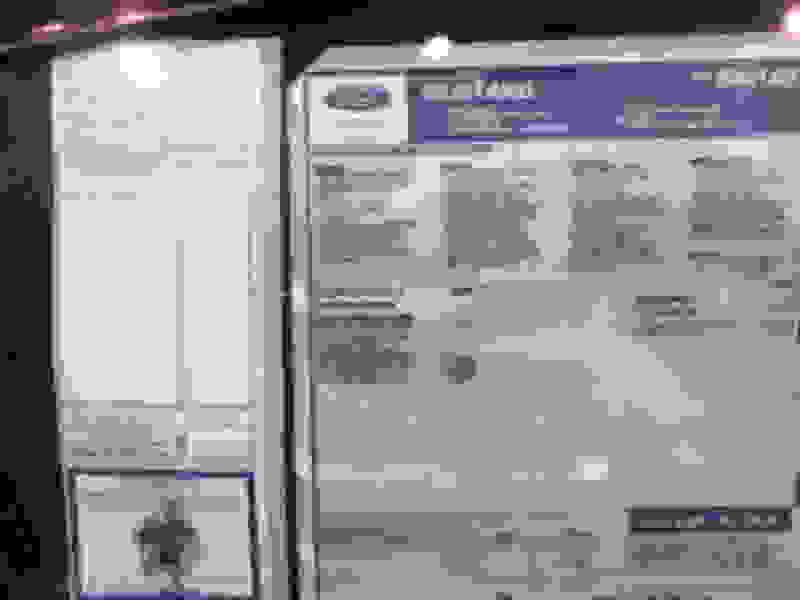 The Shelby's are starting to stack up on dealer lots and the used car market is flooded with them. Don't know if the same will happen to the Bullitt but I certainly won't be one of the idiots paying that much for this particular car. It will be forever if the market ever gets to that point to justify that kind of investment. I feel the same way! 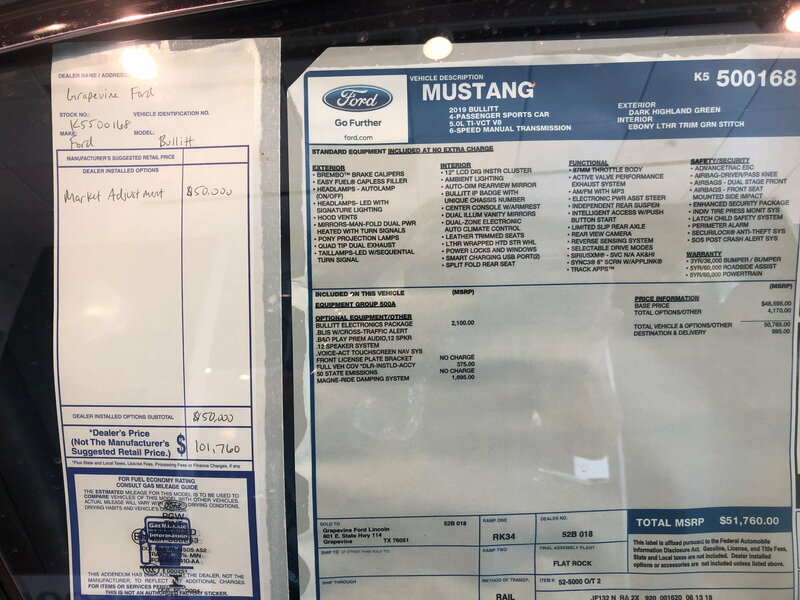 The GT350's were marked up $15K and the GT350R's were marked up $30K. Even the Raptors were marked up $15K. The problem is, they are getting the asking price! I paid MSRP for my 2017 GT350 and I had 4 dealers in 3 different states offering me the same deal. It came down to color choice for me. I just don't understand the desperation to spend over sticker to own a car that you are not going to drive most likely because you think it will be worth the investment at some point. Gotta be careful using the term investment when you are talking about new cars. To keep the value up, you can't drive it, you have to spend a lot to maintain it in pristine condition including stored in a mouse proof garage. add up the cost of this to the purchase price. In 25 years you might get back what you have into it for a car you can't drive. 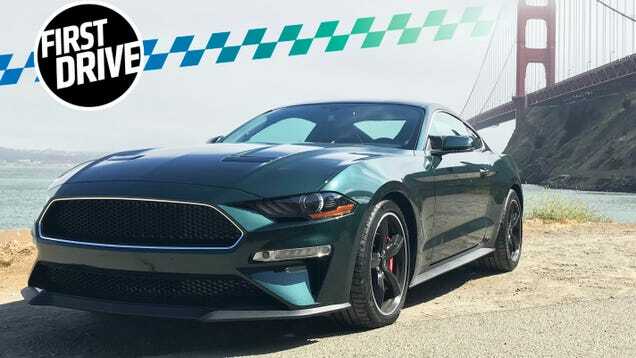 The only market adjustment I'm interested in is a nice discount that temps me to buy my next Mustang GT that won't nessesarily be my daily driver....but I will be driven whenever and wherever I want to take it....work, gym, beach, vacation or just run it with some friends.